The P.F. Bresee Foundation’s (Bresee’s) mission is to provide comprehensive after-school programs and family services that equip young people to pursue their education, achieve their full potential, and serve others. Bresee envisions a central Los Angeles community transformed by character-driven, creative, college-educated Bresee Foundation alumni. 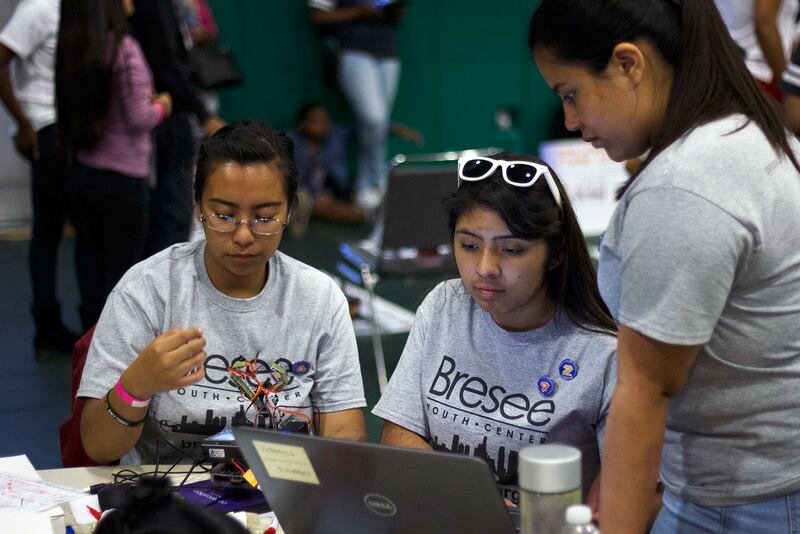 Understanding the importance and necessity to provide education opportunities in technology and innovation, in 2016 Bresee launched their Teen Tech Center with Best Buy as their brand partner. Led by Pedro Joel Espinosa, the Lead Coordinator for the Teen Tech Center, it was imperative to implement an effective and progressive coding and robotics curriculum which was the fertile opportunity to activate the Limitless Initiative.